Jessica was such a pleasure to work with. She made everything so easy. She responded to every question and walked me though choosing music. My wedding got switched from Saturday to Friday last minute due to a blizzard and she was able to find musicians for me, it was not an issue at all. I am so lucky to have been able to work with them and have AVIVA Strings perform at my ceremony. I am still getting phone calls about how beautiful it was and how special it made the ceremony. Thank you so much Jessica and AVIVA Strings!! Jessica is very organized and follows-up even faster than my type A personality is used to! Although I didn't hear all of the music before the ceremony I know the guests loved it. I asked AVIVA to arrange an Irish song for me to walk down the aisle to and it sounded even better on the strings than the original composition. Thanks AVIVA! Absolutely perfect! The music of AVIVA Strings helped create the magical, classical ambience we were hoping for in our wedding ceremony! Jessica was very responsive to our requests and emails and helped us select the perfect musical accompaniment. The piano music during the cocktail hour provided a modern & upbeat background for our celebration. Pricing was very reasonable and worth every cent! Seriously the easiest vendor to work with. Jessica was prompt in sending out questionnaires and contracts to get us situated, I couldn't believe it was that simple!!!! I didn't get to meet our musicians the day of our wedding, but the music was perfect for our little chapel! I will definitely use AVIVA Strings again in the future! Thank you all for your professionalism and beautiful music! Jessica was my favorite vendor to deal with. She was more like a friend than a stranger planning my wedding. She was so accommodating with the song choices and was willing to give lots of ideas! I was thinking about using someone else before I came across AVIVA strings. The other company was more money and I had such a great feeling after I received the first email back from Jessica. We did a very small wedding and the musical element to our ceremony made it! It was freezing cold for so early in October and I was shaking while saying the vows outside so I don't know how they were able to play so beautifully and be so professional. I wish we could do it again! I would highly recommend them! AVIVA Strings was absolutely fantastic. Jessica is very professional and keeps an open line of communication which is rare in the business realm. Not only did AVIVA accommodate my last minute booking, but they provided an unforgettable performance. We had a soloist who serenaded for our ceremony, then fiddled her heart out at cocktail hour. I would absolutely recommend AVIVA Strings to anyone looking for a special touch to their magical day! Thank you AVIVA! AVIVA Strings provided an extra element of elegance and beauty to our daughters wedding day. They sounded fantastic both at the church and the cocktail hour. I would highly recommend AVIVA Strings for any occasion. I think the price charged was well worth it. The trio was very professional and gifted. The music in our ceremony was absolutely perfect. I can't thank you enough for helping to make our day so perfect! AVIVA Strings helped make our dream wedding even more incredible! I really wanted strings for our ceremony, and they definitely delivered. The music playing sounded absolutely amazing, and Jessica is such a pleasure to work with!! I HIGHLY recommend using AVIVA Strings for weddings, birthdays, anything!!! We had AVIVA strings play for our ceremony on 5/7/16. I kept in contact with Jessica. She was very very helpful and calm and personable throughout the whole process and the music was beautiful!! Thank you again! We couldn't be happier! The Farm to Fork event benefiting the United Neighborhood Centers was a smashing success. The music is such an important part of making an event special. Thank you for playing and really performing. It was wonderful to see the spontaneous applause from guests, who were clearly stopping and listening to your beautiful playing. So talented; beautiful. Having a background in wedding planning, I had more opportunity than others to know first-handhow many variations there are for the particulars on one of the most important days of your life. My decision to have a string quartet was something I was absolutely sure about amid a multitude of other decisions to make. Having live musicians playing music you've chosen with your fiance elevates the moment in a way that recorded music cannot. It personalized and added to the sentiment and depth of such an important moment. Jessica from AVIVA was not only very responsive to whatever communications we had, she was patient- working on "bride time" for her was no issue. She helped me figure out the perfect songs when I struggled to figure out exactly what I wanted. For the songs I was sure about, she accomodated us with excitement, even arranging a song they hadn't played before together. I was really very pleased and recommend AVIVA highly to any bride or groom, or anyone who wants to infuse something more into an event they are hosting. Jessica and her musicians were phenomenal. We had her string quartet play classical pieces for our ceremony and a diverse collection of contemporary pop music for our cocktail hour. I couldn't be happier with our choice to use Aviva Strings for our wedding and hope to be able to use them again in the future. They were courteous and professional and accommodated all of our requests. I would and have recommended Aviva Strings to friends and family for their own events. Thank you so much to Jessica and the phenomenal musicians she plays with. Jessica and her team were professional, fun, and dependable. They played nearly 5 hours at our event...from classical to modern pop. All of our guests loved the music. Jessica took the time to get to know us and listened to all requests we had. We would definitely use AVIVA Strings again and we highly recommend!! I just want to say that you were fabulous at the Westmoreland Club during the fois gras dinner!! Everyone thoroughly enjoyed listening to your beautiful music!! We will most definitely pass the word around of your talents and what you can offer during special events!! We look forward to seeing you at future events at the Westmoreland Club as well as other events elsewhere!! When I hear Jessica play, I feel fortunate that we have such a high level of professional musicianship right here in northeastern PA. AVIVA Strings is first on my list if I have a need for a talented group of musical artists who make beautiful music appropriate for any venue..
We had to get music at the last minute and AVIVA Strings not only provided that, but they did an amazing job and were responsive and attentive to all the details! If you're ever looking for live entertainment for a business or private event, please check out AVIVA Strings. They're a talented group of musicians with many years of experience. And, founder and friend, Jessica Nataupsky Kang, is awesome to work with too!!! AVIVA Strings violin duo adds a perfectly elegant touch to this beautiful Poconos wedding! AVIVA Strings is hands down the best music ensemble to play at events in northeastern PA. Jessica, the founder, is such a talented musician and was extremely accommodating and willing to work with me for exactly what I wanted for my parents' anniversary party. My best friend is having her play for her wedding next year! Thanks again, Jessica & AVIVA Strings!! Fantastic, beautiful music for your wedding ceremony, for the seating/prelude, for the cocktail hour, for memorials, I highly recommend them. Having worked with them and knowing both the quality of their music and excellent professionalism, as well as flexibility of the music itself.... playing both classical and "classical style" arrangements of modern songs.... setting up in the forest, on the patio, indoors, outdoors, they are versatile and without doubt will bring a classy, elegant note to any celebration! If you believe that music can impact your emotions, and if you appreciate outstanding musicianship, then listening to Jess & AVIVA Strings play the violin is an experience you will remember. Every time I hear them play, listening to the expert technique and unique interpretation of music, it has a profound impact on me. My reaction is always to want to listen even more. Jess & AVIVA Strings have a special talent and I have never been disappointed in their performances. AVIVA Strings: Elegant Live Strings For Weddings, Events, & Special Occasions. Serving Northeastern Pennsylvania, Wilkes-Barre, Scranton, the Poconos, the Lehigh Valley, Philadelphia and beyond! AVIVA Strings played for my wedding last year and it was the most incredible music! 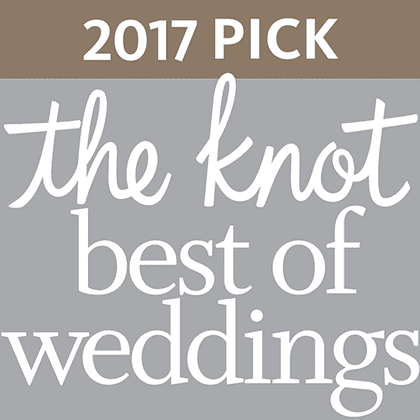 I wanted something very traditional when I walked down the aisle, but different songs played while my wedding party walked in. Jessica helped me arrange this with ease. The ensemble was able to play all of the songs I wanted and my guests commented on how special it was to have a string quartet. I highly recommend AVIVA Strings for your next event!!! Thanks again, Jessica! Jessica and her fellow musicians provide a very unique service to the NEPA region. Honestly, this is a world-class string ensemble, similar to what you would see in a major market! The musicianship is amazing, and the fact that AVIVA can adapt to provide any configuration from a solo performer to a full ensemble makes it extremely versatile and available for any budget. Wonderful musicians and great to deal with! AVIVA Strings is available for your NEPA wedding or event as a violin or cello soloist, string duo, string trio, string quartet, and more! Jessica and her ensemble were absolutely incredible at my winter wedding. I had very specific music that I wanted played and Jessica was SO accommodating and easy to work with for my special day. I would highly recommend Aviva Strings for any type of event and I just recently spoke to Jessica about playing for my father's 65th birthday party. She and her ensemble are so talented and I can't wait to work with her again! AVIVA played for my wedding in Scranton. I booked them kind of last minute and Jessica was great to work with. Even though it was last minute, communication was very fast and they were able to play my requests and the music was so beautiful and made my ceremony really elegant - I had many guests tell me they loved the live music. I got a few quotes for music and pricing for AVIVA Strings was really competitive too. Highly recommend! AVIVA Strings' solo violinist performed for a beautiful NEPA wedding on the bride's family farm in Tunkhannock. Selections included All of Me by John Legend and LOTS of fiddle tunes! Picture perfect! I Love AVIVA strings! Beautiful music played with enthusiasm and grace! Can't thank you enough for sharing your talent and passion!!! Anyone who hears you play will feel the same. I highly recommend AVIVA strings for your next event!